Very Very Vicky: Merry Christmas and Happy New Year! Merry, Merry Christmas y'all! I hope you are spending this day loving on your family and remembering the love of God that gave us the His Son, the reason for the season! 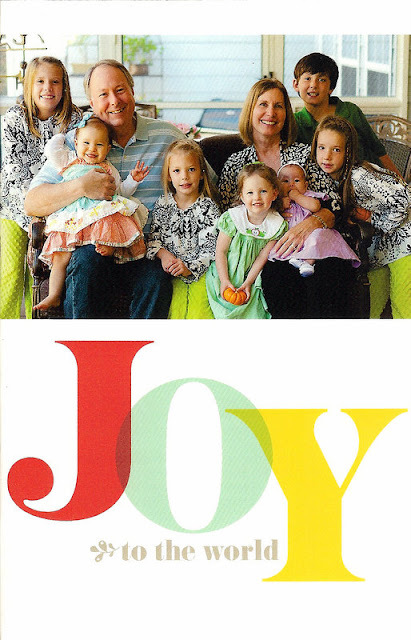 Merry Christmas from me, my husband Henry and our grandchildren: Madeline, Josey, Violet, Ella, Charlotte, Tyler, and Anna Kate! I'll be back in a few days with more about the Coral Cottage! Merry Christmas and Happy New Year to you and your beautiful family. I have enjoyed you sharing your journey with your Coral Cottage with us. May you have a blessed and prosperous New Year and more adventures to come. Thanks so much Janet! A blessed and happy new year to you and yours as well!